In the Western world, education is a prerogative most young women and men take for granted. Few of them know that there are parts of the world where people do not have the opportunities we have. No university, no five-digit income, sometimes not even take their pick when it comes to a life partner, is mere routine in Kenya, a country that stands at number 154 on FN Human Development Index List. This is where Marziya Mohammedali is from. "Most of my friends got married in their teens." says Marziya. The normal custom is that the family find somewhat of a "suitable young man" for you, and they arrange a series of meetings, and after a while, if they are compatible and forsee a future together, they get married. It’s important to realise that there are differences between the forced marriages you read about in commercial newspapers, and the arranged marriage that may await Marziya when she finishes her postgraduate degree. "I am not being forced" she says, "My parents are obviously looking… at suitable bachelors, with a degree, a steady income, and a stable background, but I get my space to get to know the person before I say yes.". In a way its just how marriages are engaged in the Western world, though the parents are doing the boring job of picking up the partner. Marziya is quick to add, " And if I choose someone by myself, as long as he meets the requirements, my parents would accept that too, even though others may not. But that’s not for them to decide, cause that’s not religion… even in an arranged marriage, the woman has a stronger stand after a finishing a higher education. Being an independent, intellectual, and working woman in an relationship is not a bad thing, and people who think it is have a wrong opinion about Islam". Islam has nurtured many women to greatness. 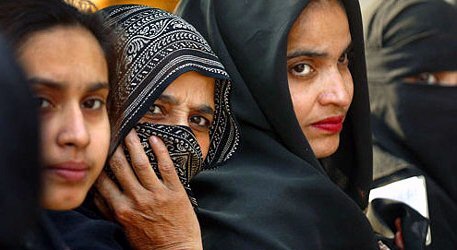 According to the website ‘Islam: the Modern Religion’, women have the following rights in a truly Islamic society: the right and duty to obtain education, to have their own property and the right to work to earn money if they need it or want it. Your browser may not support display of this image.She is allowed to express her opinions and be heard. They are obliged to get all the provisions they need from their husband. When a marriage is to be arranged, they negotiate the terms and they have the right to refuse any marriage that would not please them. They can obtain divorce from the husband on the pure grounds that they can not stand him and without question, they get custody of children after the divorce. If they earn money, they do not have to share their income. They have the right to sexual satisfaction, and that’s more than the Western women can say., This is just the short version of all the female rights printed in the Islamic scriptures, the Koran. After finishing her International Baccaleureate, she applied for further studies in Australia. At the first attempt, she secured admission at Edith Cowan University but was forced to stay back in Nairobi because of visa issues. In order not to waste time while she waited to apply again, she finished her first year of university at the Australian Studies Institute and graduated top of the class with a Diploma of Mass Communication. In the meanwhile, she managed to obtain an Australian visa and transferred to ECU to do a Bachelor of Communications with a double major in journalism and multimedia. One thing that was an issue for completing her multimedia units in Kenya was the power outage. Every day the power would come and go, and as we know, computers need electricity to work. The general aspect of multimedia studies in Kenya is heavily related to gender role, and the prospect of computers being "mens playground" is still valid. Struggling against the prejudical atttitude of a strong gender-divided society Marziya went to Australia to finish her degree, drawing criticism from a number of sides for being ‘too strong-willed’ and refusing to adhere to the stereotype. Marziya finished her degree in Semester 1, 2007 and she leaves a long list of merits at the School of Communication and Contemporary Arts. Being involved in several film and multimedia projects means she knows her way around campus in more detail than the rest of her peer students. She jokes, “Home? What do you mean? I live here! You’re in my backyard!” in reference to her current accommodation being at the student village at Mt Lawley campus. She says that she found the teaching system at ECU odd at first, but after a while, she began to appreciate it. "I think it’s good that school here is more student related. I am used to an authority-based relationship between the teacher and students at home, but at ECU some of the teachers are students themselves, and we teach each other new things all the time" she says. From her point of view, her undergraduate degree at ECU has also been her turning point of personal development. "I finally get to be the best I can be at all points" she says. "I have access to equipment and literature, resources in general I would never dream of back home. I don’t think most of the people here know how lucky they are. Just things like the Media Store, to be able to check out all the equipment you need, having access to computer labs, photo development labs or even just a library this size!" Your browser may not support display of this image. Marziya is also one of the students who has been involved in the ECU exchange program. Her semester in Hong Kong taught her much, both on a personal and academic level. "Everything in Hong Kong is very big. You become very insignificant in the bigger picture". Her motivation to take up such a challenge was that she was born in Hong Kong, but moved to Kenya as a child, so the exchange program provided an opportunity for her to fulfill a longstanding dream. While there, Marziya participated in a number of projects, including producing a television package on racial discrimination and creating e-cards for the Ronald McDonald House charity . "It was definitely one of my more positive experiences going to Hong Kong. I got to know a lot of interesting people and do things that I probably wouldn’t have had the chance to do otherwise!". Last semester Marziya was involved in an independent study film project called "Amnesadol", an experimental film that looked at the issue of temporary memory loss and medical experiments in a trans humoristic and tragic way. The film also turned into a valuable lesson for Marziya when the team working on the project dwindled to just two: "The hardest thing about being involved in this kind of group work is having the group working as a machine. If a part breaks in a machine, the machine stops working. We all broke eventually, the challenge was fixing eachother when it was required." The movie was rather well received, should one believe the reactions at the end of semester screening, where the author was present. Apart from that, she directed a team producing a DVD that highlighted safety issues for yachts having to lower their masts when traveling under the bridges at Fremantle. This was done for her final multimedia project and was a commission from the Royal Freshwater Bay Yacht Club. The DVD is now being prepared to be presented to the Department for Planning and Infrastructure. 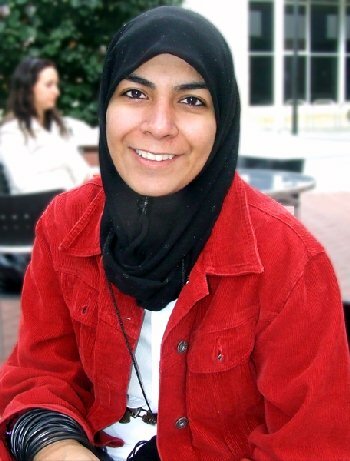 So far in 2007 Marziya was in the Judging Panel for the Western Australian Youth Awards in the Cathegory of Media Reporting. She gave a presentation on the CREATEC seminar about the differences in multimedia education in Kenya, Hong Kong and Australia, drawing on her experiences in studying in these countries to produce a comparative analysis. She also did an internship in Kenya over the Christmas break with Camerapix International, the company founded by the late photojournalism Mohammed Amin, famous for his coverage of the Ethiopian famine. In addition to all this, Marziya is a central figure in the international community on ECU. As Vice President in the International Student Council, one of the main engines for Orientation and Multicultural week, she has a number of responsibilities dealing with international students. At the end of the recent orientation program she was awarded the honour of being one of the most outstanding coordinators for her efforts. Click here to browse the Lilith eZine. Her parents have been very open towards the fact that Marziya is spiralling towards academic exellence. Marziya’s highest achievement during her stay in Australia is by no doubt her 87% course average, which means she got a High Distinction in almost every unit. However, Marziya feels like she has accomplished greatness at the cost of a different kind of greatness, which in one way is bad for her. "It is beyond doubt an amazing feeling knowing that you are good at something, even great at something. But when it comes to university, I would have done some things differently if I had started today. I would have spent more time nurturing my friendships, my hobbies, and my personal life, because not everything is worth sacrificing for a high mark" She laughs as she describes her new strategy: "I am doing things a bit differently for my postgraduate degree. I sleep. And eat. I go to the city with friends late at night to buy ice cream. Basically, I live. Just a little." Marziya is doing her masters degree in a divided field of pedagogics and multimedia. Taking up the new Master of Innovative Technology course has allowed her to design a degree to her specific interests. She wishes to develop an e-learning program for children affected by autism and help them develop their skills through computer use. Autism is a syndrome that deals with social, language and motor skills; in other words, autistic children have issues with functioning socially, which makes it difficult to adapt to a stereotypical class-session. Marziya, and also an amount of other scientists, believes that the safety of the environment created in a one student – one computer classroom may help such children achieve a greater potential. Your browser may not support display of this image. Marziya is currently employed at the University of Western Australia, where she has the roles of being a teaching assistant, running workshops and working as technological support. Being at two universities has allowed her to take advantage of the services provided by both, even though she admits that it does get awkward when trying to explain why she studies at one and works at another. She thinks she was extremely fortunate to get the job a mere week after receiving her final results. "It is a good feeling to know that after three years at uni I can get a job in my chosen field. Makes it feel like my degree and effort is worth it. A lot of people study hard but end up having to work odd jobs cause they can’t break into the industry so I think I’m really, really lucky.." she says. Due to the immigration laws she can only work 20 hours per week during the semester, but she finds that a fair concept. "We are here to study, not to work. If people work extended hours, they get tired and a requirement for attending classes should be that you are awake! Still we see a lot of students putting themselves through hell to go to university, which is sad. There are so many students who are bright but find themselves facing the prospect of going home because they just don’t have the money. Education should be available to everybody, regardless, but it doesn’t always work that way."